With Hurricane Sandy’s landfall and damage still at the forefront the Jersey shore’s recovery efforts, it is essential that property owners review the new mapping and designations specific to their lands and understand the implications of the assigned zones and elevations. 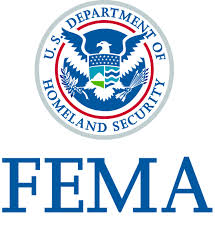 The Lomax Consulting Group has been tracking updates to and the release of FEMA’s Preliminary Work Maps on behalf of its clients, and is now engaged in reviewing impacts and implications resulting from these mapping changes. These maps are preliminary, and they will now go through a period during which municipalities and the public can review and comment on the delineated boundaries and designations. As these preliminary maps are now the prevailing flood designations recognized by NJDEP, there is a window of opportunity for property owners to act. The Lomax Consulting Group stands ready to assist its clients in analyzing the flood zones and providing input through the public process. To learn more about how this impacts your property or development, contact The Lomax Consulting Group, please call 609-465-6700 or go to our website at http://www.lomaxconsulting.com.